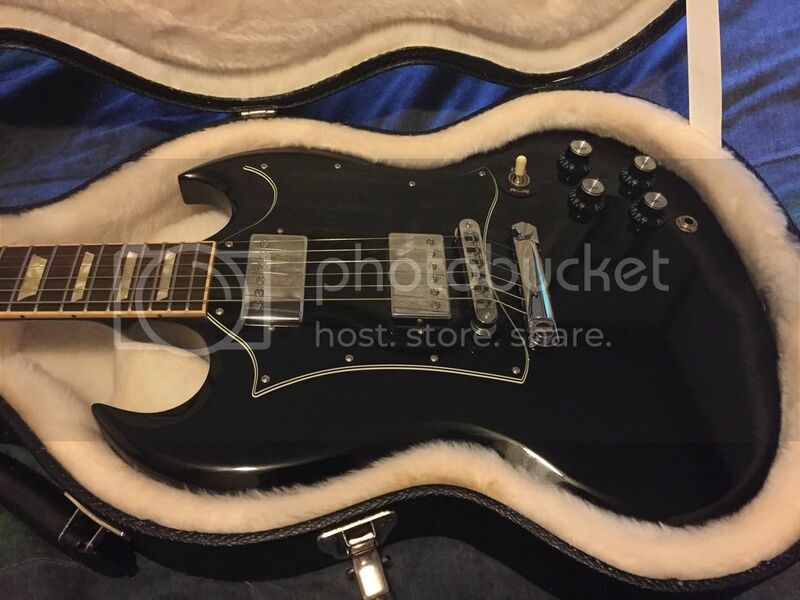 Sold 2010 Gibson SG Standard. Ebony w/OHSC. 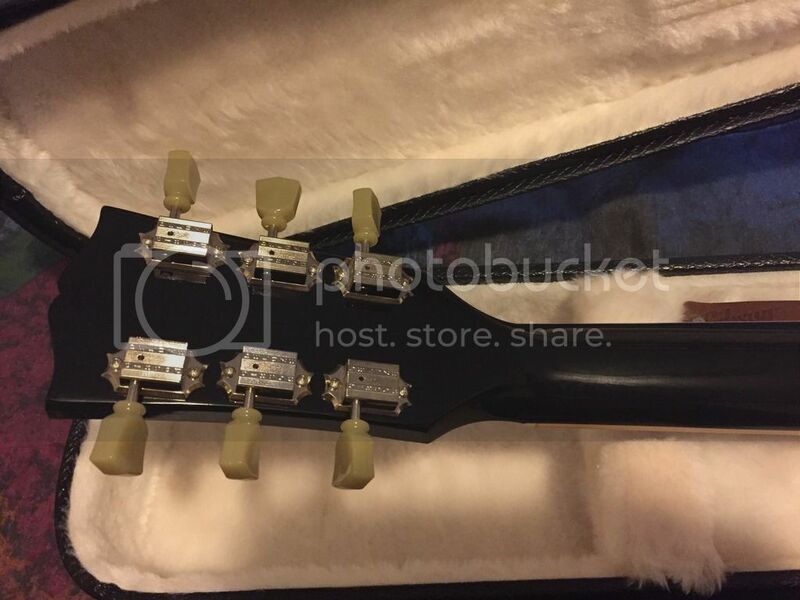 Discussion in 'Guitar Emporium Archive' started by guitaraddict, Apr 26, 2016. Excellent+ condition. No dings, buckle rash, worming or fretwear. Just the typical light wear that is common on black finishes and some typical wear on the pickguard. Super clean condition for a 2010. The neck is set with minimal relief, plays awesome with great action. 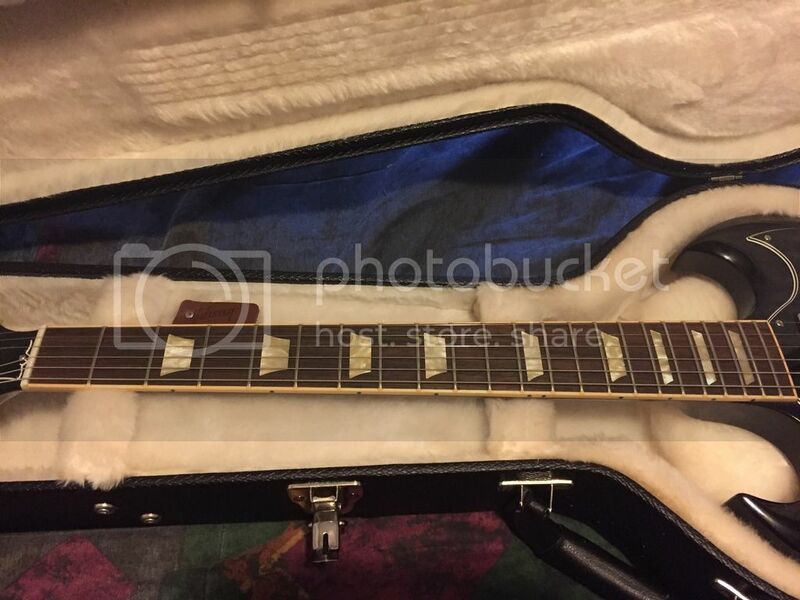 No fret or nut issues. Nice 50's rounded neck profile. 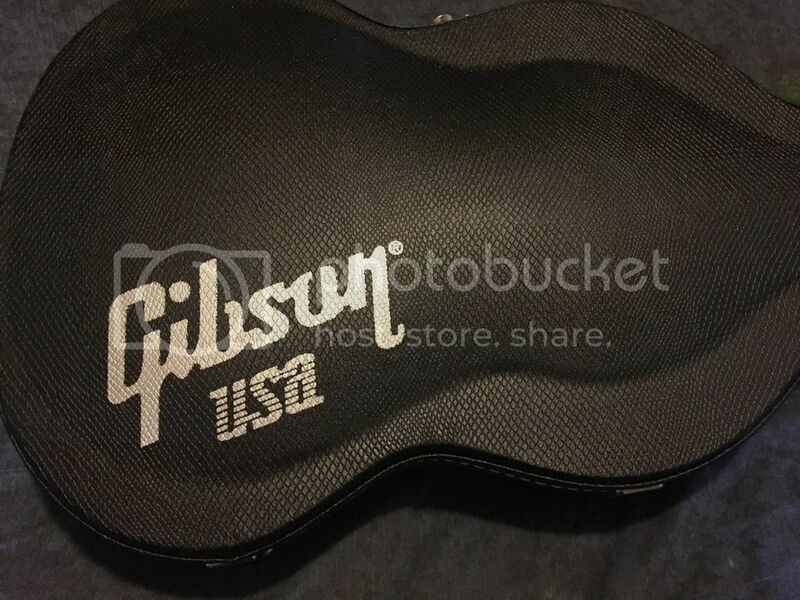 All stock with original Gibson hardcase. 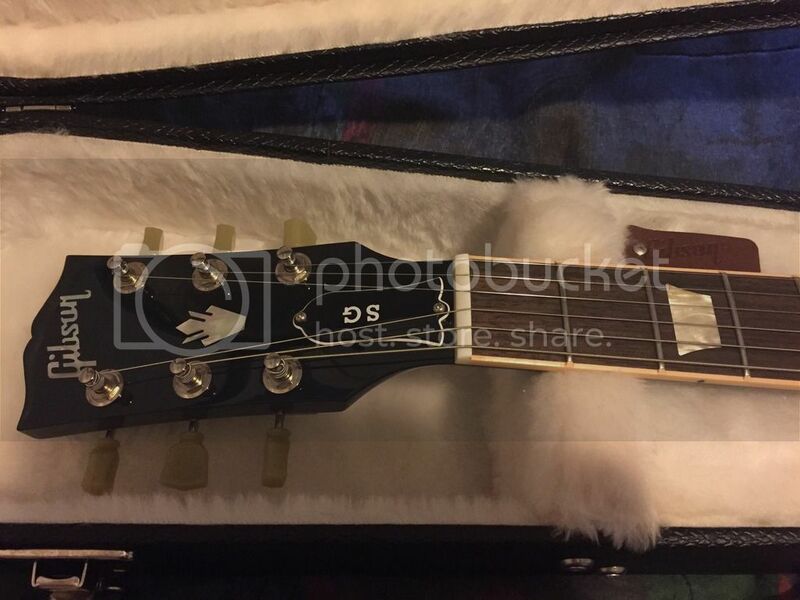 I can guarantee that this is a great example of a SG Standard in every way. SOLD pending payment. No trades. 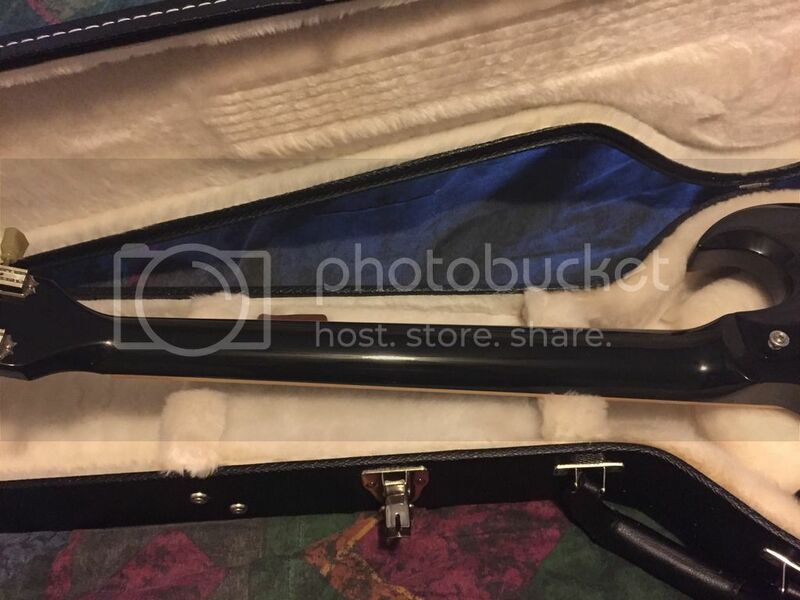 Cool guitar and Great deal! 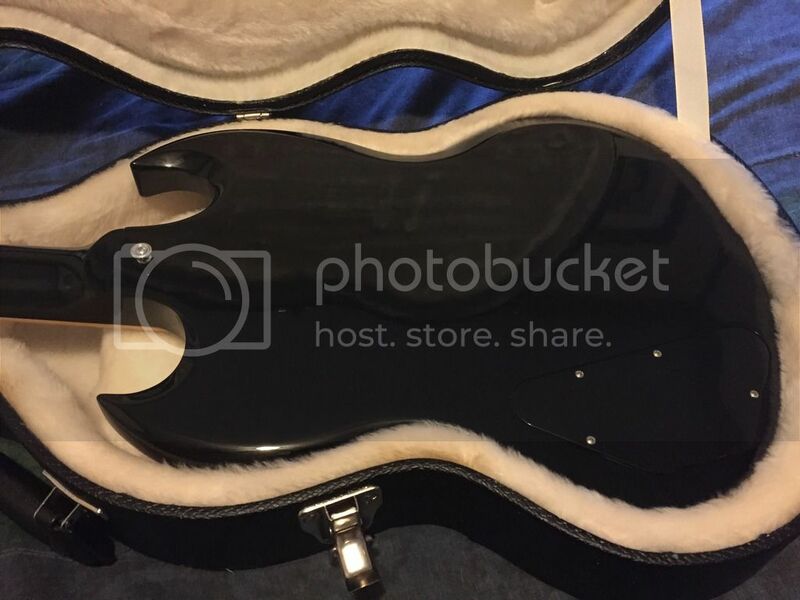 Guitaraddict has always the best stuff at the best prices! Just reflection seen on the pickup covers. I can do better if paying via check or M.O. Plenty of references.